It took roughly a year after the first human infection with MERS-CoV was announced out of Saudi Arabia for dromedary camels to be identified as a host species for the MERS coronavirus (see 2013's The Lancet Camels Found With Antibodies To MERS-CoV-Like Virus). While bats are believed to be the primary host reservoir for MERS, SARS, and an array of other novel pathogens (see Curr. Opinion Virology: Viruses In Bats & Potential Spillover To Animals And Humans), the hunt continues for other susceptible species where these viruses may reside. Complicating this search, the MERS virus doesn't appear to leave long lasting fingerprints - in the form of detectable antibodies - once the host clears the infection. In April of 2016, in EID Journal: Antibody Response & Disease Severity In HCW MERS Survivors, we looked at a study that tested 9 Health care workers who were infected during the 2014 Jeddah outbreak (2 severe pneumonia, 3 milder pneumonia, 1 URTI, and 3 asymptomatic), that found only those with severe pneumonia still carried detectable levels of antibodies 18 months later. Similar waning antibody detection has been reported in camels, which means seroprevalence studies may not provide an accurate picture of how many people - or other species - have been infected with this coronavirus in the past. Over the past 6 years we've seen a number of studies that have attempted to either detect antibodies in other domestic animal species - or alternatively, tried to experimentally infect them - in order to identify other potential host species. While most of these studies have come up empty, in 2016's EID Journal: MERS-CoV Antibodies In Alpacas - Qatar, serum samples from 15 alpacas and 10 camels were tested for IgG antibodies specific to the MERS virus. MERS-CoV–specific antibodies were detected in all of the alpaca samples (n=15) and in all but 1 camel (n=9) tested. 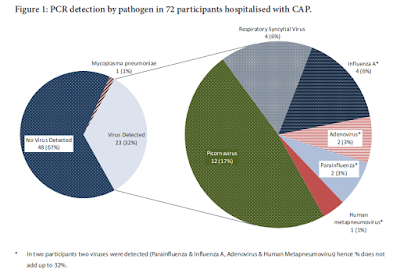 No evidence of current MERS-CoV infection (via RT-PRC testing) was detected among either herd. Alpacas are part of the same biological family (Camelidae) as dromedaries, so this finding opened the door to finding MERS susceptibility in other camelids, including Bactrian camels, llamas, vicuñas, and guanacos. Minimal or no virus shedding was detected in all of the animals. During the four weeks following inoculation, neutralizing antibodies were detected in the young goats, but not in sheep or horses. Four months later, in December of 2016, in EID Journal: Livestock Susceptibility to Infection with MERS-CoV, researchers experimentally inoculated llamas, pigs, sheep, and horses with the MERS virus, and found that pigs & llamas both shed the virus from the nose, and seroconverted. Given the susceptibility of pigs to other coronaviruses (see mBio: PEDV - Porcine Epidemic Diarrhea Virus - An Emerging Coronavirus and Swine Enteric Coronavirus Diseases), this understandably raised concerns. A 2017 study (see EID Journal: Domestic Pig Unlikely Reservoir for MERS-CoV) confirmed that while pigs can be experimentally infected with the MERS virus, they did not develop clinical disease and only shed small quantities of the virus, making them unlikely to spread the disease. All of which brings us to yet another study, which not only expands the range of domestic species tested to include cattle, sheep, goats, donkeys, buffaloes, mules, and horses - but also extended testing far beyond Saudi Arabia - to include Egypt, Tunisia, and Senegal. They found goats and sheep were the most likely to exhibit antibodies to MERS-CoV (or a MERS-like coronavirus), but evidence of prior infection was also detected in 1 cow and 3 donkeys. While the discovery of MERS-like antibodies in sheep, goats, donkeys and a cow open up new avenues for investigation, it really doesn't tell us much about their role in spreading the virus, either to their own species, or to humans. The full study is lengthy and quite detailed (PDF available at link below), and well worth reading in its entirety. I've only excerpted a couple of short passages. Dromedary camels are natural host of the Middle East respiratory syndrome coronavirus (MERS-CoV). However, there are limited studies of MERS-CoV infection of other domestic mammals exposed to infected dromedaries. We expanded our surveillance among camels in Egypt, Tunisia, and Senegal to include other domestic mammalian species in contact with infected camels. A total of 820 sera and 823 nasal swabs from cattle, sheep, goats, donkeys, buffaloes, mules, and horses were collected. Swabs were tested using RT-PCR and virus RNA-positive samples were genetically sequenced and phylogenetically analysed. Sera were screened using virus microneutralization tests and positive sera (where available) were confirmed using plaque reduction neutralization tests (PRNT). We detected 90% PRNT confirmed MERS-CoV antibody in 35 (55.6%) of 63 sera from sheep collected from Senegal, two sheep (1.8%) of 114 in Tunisia and a goat (0.9%) of 107 in Egypt, with titres ranging from 1:80 to ≥1:320. We detected MERS-CoV RNA in swabs from three sheep (1.2%) of 254 and five goats (4.1%) of 121 from Egypt and Senegal, as well as one cow (1.9%) of 53 and three donkeys (7.1%) of 42 from Egypt. Partial sequences of the RT-PCR amplicons confirmed specificity of the results. This study showed that domestic livestock in contact with MERS-CoV infected camels may be at risk of infection. 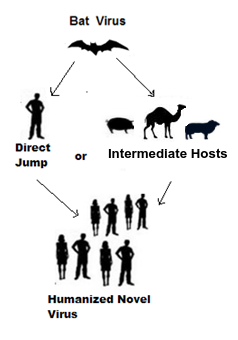 We recommend expanding current MERS-CoV surveillance in animals to include other livestock in close contact with dromedary camels. The segregation of camels from other livestock in farms and live animal markets may need to be considered. In summary, we provide evidence of MERS-CoV, or a very closely related virus, infection of domestic live-stock (other than camels) in close contact with camels,106A. Kandeil et al. suggesting that spill over infection to other livestock may occur. Our data does not prove MERS-CoV can be sustained by transmission within these other live-stock species in the absence of camels as the primary source of infection. However, if other domestic live-stock such as sheep may be infected by MERS-CoV, they may also be a risk factor for human infection. Our findings highlight the need for further field studies of domestic livestock, especially those that are in close contact with dromedary camels and also the need for experimental studies infecting livestock such as sheep using MERS-CoV isolates from Africa. Our findings may raise the need to segregate other livestock from dromedary camels in farms and live animal markets.